The original colored Superman suit. 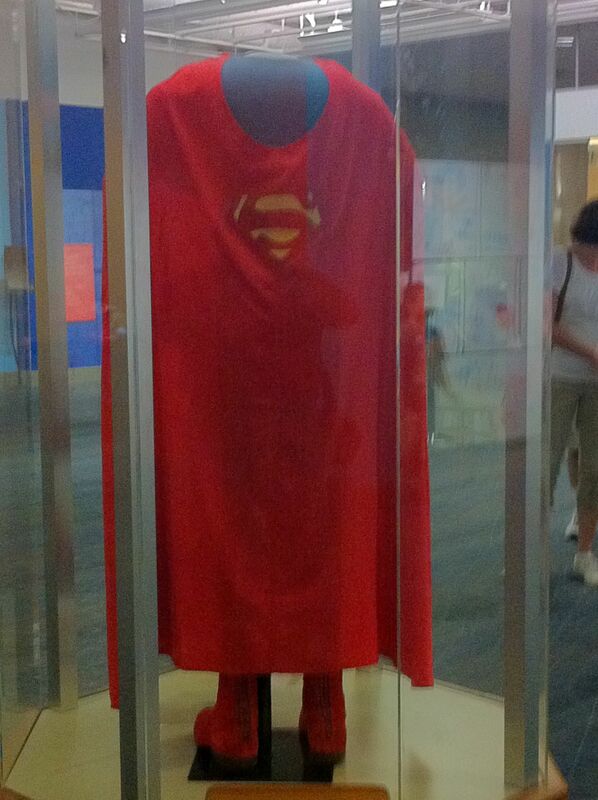 This is a surviving suit worn by George Reeve as Superman on “The Adventures of Superman” TV series. It’s pretty sweet. The suit is housed in the basement of the Smithsonian in DC. Recently, a GOP Congressman who voted against funding for Hurricane Sandy victims, used the fact that the Smithsonian needed a new roof. Since the suit is supposedly indestructible – why don’t we use it to patch up any holes for the time being and support relief for New Jersey, New York, Connecticut and Pennsylvania.